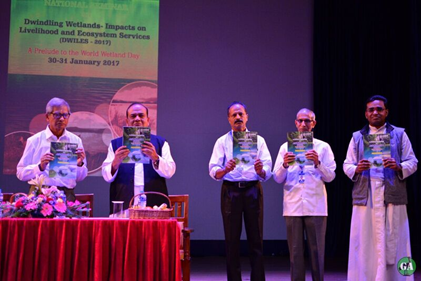 In light of the deteriorating condition of the lakes in Bengaluru city and to commemorate World Wetland Day (February 2), the Department of Life Sciences, Christ University, Bengaluru organized a National Seminar on Dwindling Wetlands – Impacts on Livelihood and Ecosystem Services (DWILES – 2017) on 30th and 31st January 2017 at main campus, Christ University. The seminar brought together around 70 participants from different parts of the country, including Kashmir, Gujarat, Maharashtra, West Bengal, Tamil Nadu, Kerala etc. A total of 52 abstracts and 7 full length papers were received, which were published in the form of a Seminar Proceedings book. 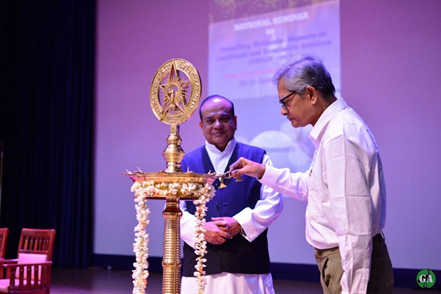 The inauguration of the seminar along with the book release was done on 30th January by Dr Fr Thomas C Mathew, Vice Chancellor of Christ University. Welcome address was given by Dr Antony P U, the Coordinator of the two day seminar. The chief guest of the function was Dr Dhrubajyoti Ghosh, UN Global 500 Laureate and an inspirational wetland activist, who enlightened the assembly on the pathetic condition of the East Calcutta Wetlands. The seminar was divided into five technical sessions, spread over two days. Topics for the seminar included Wetland Conservation, Monitoring and Evaluation, Wetlands for Livelihood of Local Communities, Joint Lake Management Programs, Wetland Biodiversity and Conservation, Sustainable Farming Businesses in Wetlands, Remote Sensing and GIS in Wetland Management etc. Oral presentations followed by interactive sessions with the presenters enhanced the learning experience and information exchange at the seminar. 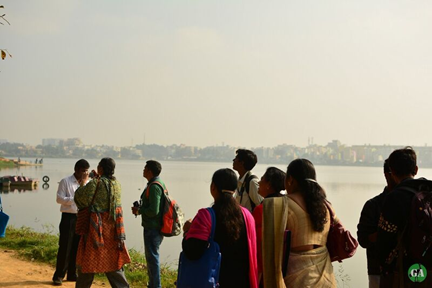 A field trip to Madiwala Lake, Bengaluru on the morning of the second day of the seminar was an activity much enjoyed by the participants. After the technical sessions and field trip, a valedictory function was held. Dr Fr S Xavier from St. Xavier’s College, Kolkata was the chief guest for the ceremony. Prizes were distributed and the vote of thanks was delivered by Prof P U Antony, Organizing Secretary – DWILES 2017. 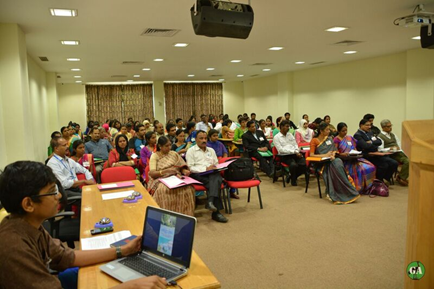 On the whole, the seminar was an enriching experience for both the participants as well as the organizers. There was a lot learnt about the different facets of wetland issues including ecological, sociological and economic issues. The entire experience reiterated the dire need to use multi-disciplinary approaches to monitor, restore and conserve the few remaining wetlands we have today. Great Backyard Bird Count (GBBC) is the Indian version of the global GBBC which is organized in about 100 colleges every year during four days in February every year. 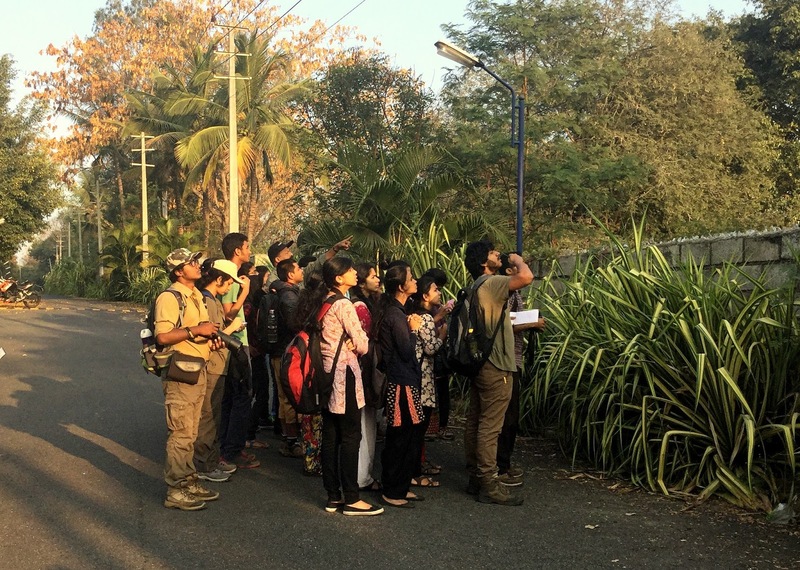 This year, GBBC was conducted on 17th to 20th February under the leadership of Dr Antony P U, Professor with Department of Life Sciences at Christ University. These forms of innovative and practical oriented learning helps a lot in field study of birds. The count of different species of birds was recorded in the bird recording platform eBird. The students of the Department of Life Sciences, especially the members of the Green Army, actively participated in this venture and made it a huge success. Birds belonging to more than 48 different species were identified and reported in the website. The count was mainly cdone in different areas of the main campus. The Green Army of the Department of Life Sciences at Christ University Bengalutru, organized Green Wheeling, a Cycle ride in the periphery of Bannerghatta National Park on 26th February 2017, Sunday. The event was organized with a view to sensitize the young generation on eco-friendly approach. The motto of the event was “Life is like cycling; In order to balance, you have to pedal through”. 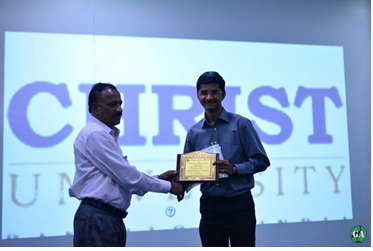 Dr Antony P U, Professor, Department of Life Sciences at Christ University, Bengaluru was the chief organizer. The event kicked off at 05.45 AM from the main campus of Christ University. The Dean of Science Dr Surendra Kulkarni flagged off the cycling event at 5.45 am on February 26, 2017. The route followed was Christ University Main Campus, Hosur Road – Bannerghata National Park – Kaggalipura – Jayadeva Circle- Christ University. About 40 participants , including students and faculty actively and enthusiastically cycled through the roads for Bengaluru for this cause.